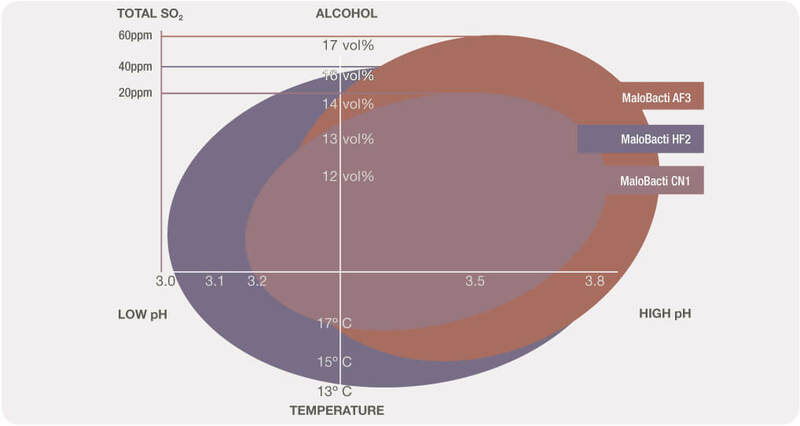 MaloBacti MLF Bacteria represent a unique range of freeze-dried MLF starter cultures of Oenococcus oeni possessing special attributes that provide winemakers with added choice and flexibility in both application and outcome. 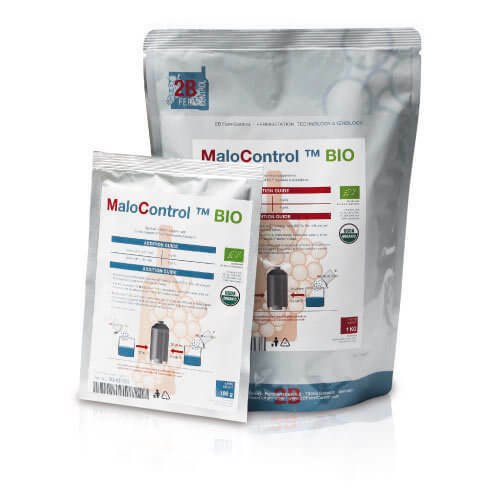 MaloBacti MLF bacteria are not only selected for their efficient degradation of malic acid, but primarily to provide winemakers with different tools to allow greater flexibility of style in winemaking. 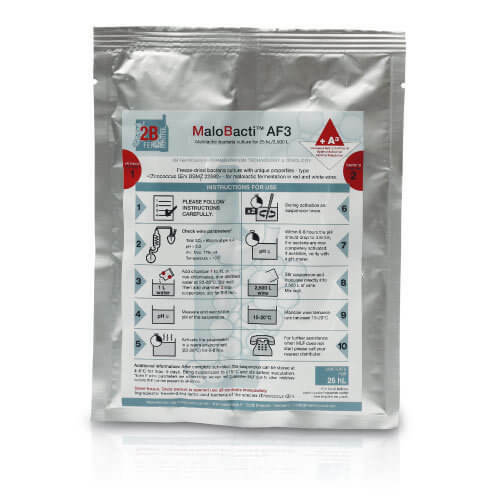 MaloBacti Activation Instructions – IMPORTANT! 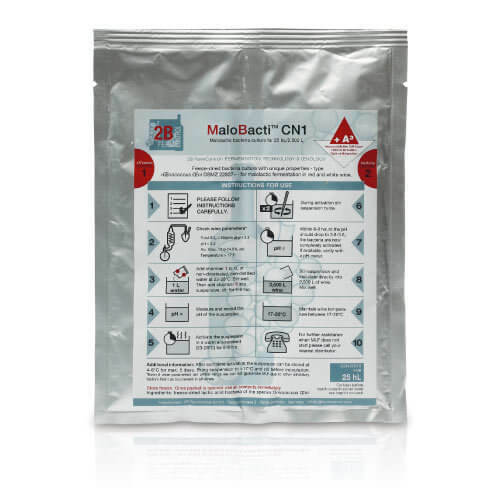 MaloBacti strains are not build-up cultures. We deliver you the full cell count so all you have to do is activate the bacteria in water; that’s why wine is not required for the activation. As always, when dealing with yeasts or bacteria it is extremely important to strictly follow the activation instructions. Once activated correctly (pH < 3.6) the fully viable bacteria suspension can be placed in a refrigerator at 4-5ºC for five days without any loss of cell count. This gives winemakers the flexibility to activate a larger suspension of bacteria and use it over the course of a week. Simply remove the suspension from the fridge and measure out the volume required i.e. 90ml per barrel. Place remaining suspension back in fridge. Stir measured out suspension and let it warm to wine temperature, then inoculate. 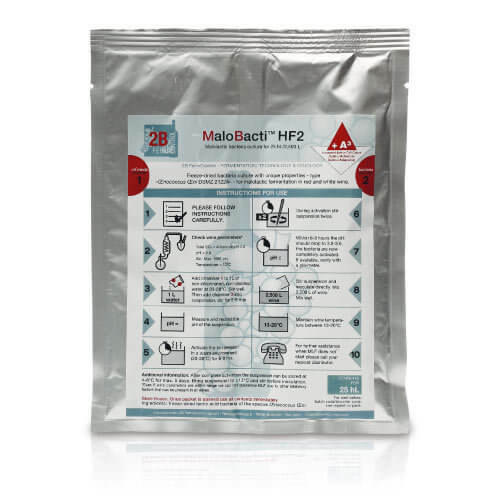 MaloBacti starter cultures not only allow a reliable and easy MLF in wine, but also provide a characteristic aromatic profile for the sophisticated flavour management in modern winemaking. 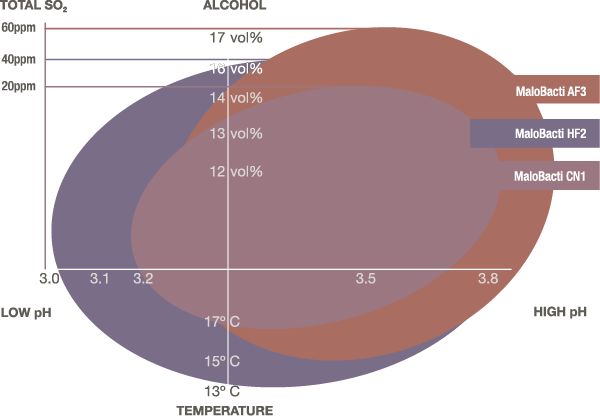 The picture shows the aromatic profiles of the different MaloBacti MLF starter cultures in red wine. 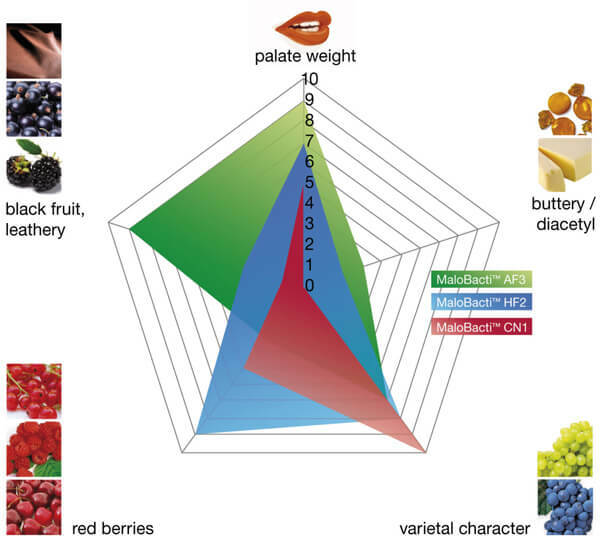 HF2 and AF3 show quite balanced aromatic profiles – AF3 with a focus on black berries; HF2 with more emphasis on red berries; and CN1 enhancing varietal characters.